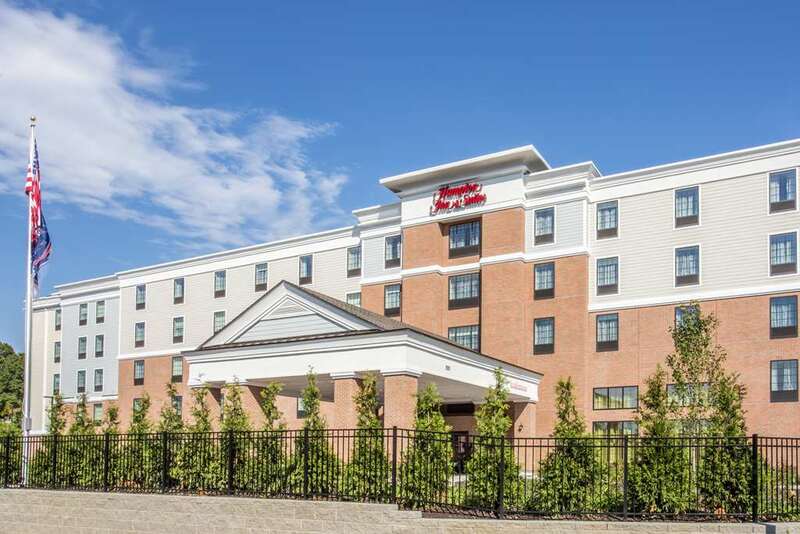 Welcome to the brand new Hampton Inn - Suites Yonkers - Westchester. Find yourself at the heart of the action thanks to our hotel*s wonderful central Westchester County location. Must-see Yonkers NY attractions such as the New York Botanical Gardens Bronx Zoo and Hudson River Museum are all nearby. Enjoy a day of retail therapy at Ridge Mall place a bet at Empire City Casino and choose from a host of popular restaurants in the surrounding area. Those traveling to our hotel by car can take advantage of our ample onsite parking. Our comfortable guest rooms boast modern decor and delightful home comforts including complimentary WiFi a 43-inch flat-screen TV work desk refrigerator and coffeemaker. Relax after a productive day in the elegant bathroom with curved rod shower. Offering even more space a living area and a wet bar with microwave and fridge our suites are perfect for families and extended stay guests. Fantastic hotel facilities include a family-friendly indoor pool fitness center laundry/valet service and complimentary business center. Ideal for small corporate meetings and bridal/baby showers our 660 sq. ft. meeting room holds up to 40 guests. A free hot breakfast is served every morning of your stay while healthy snacks and sweet treats are available in our 24-hour convenience shop. Texas de Brazil: Upscale Brazilian eatery featuring all-you-can-eat grilled meat carved tableside - a salad bar. Lefteris Gyro III- Yonkers: Bustling eatery offering a traditional Greek menu plus familiar burgers - hot sandwiches. Havana Central: Boisterous Cuban restaurant serving island staples - cocktails in a retro-Havana setting.